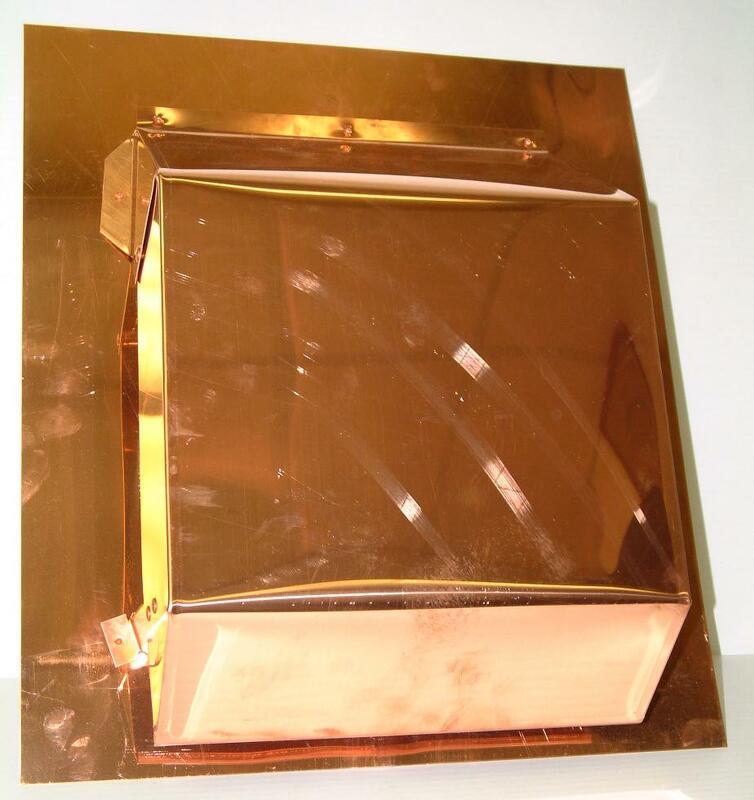 $97.50 - 1 pc Slant Back Copper Roof Vent. $97.50 ea. Shipping Included. 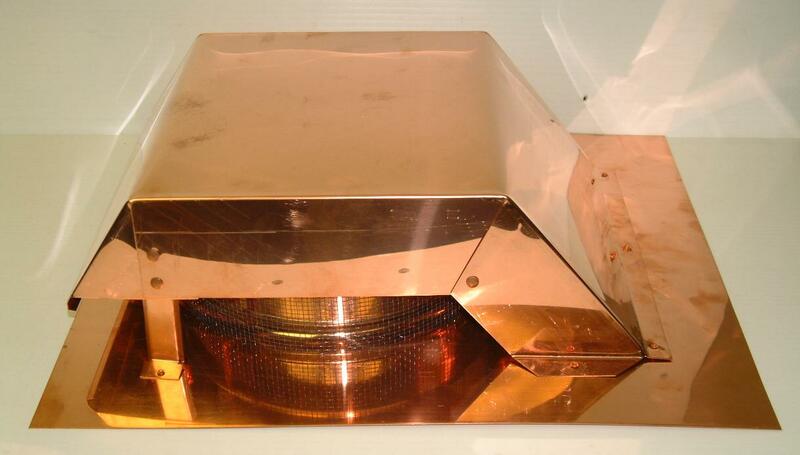 $190.00 - 2 pc Slant Back Copper Roof Vent. $95.00 ea. Shipping Included. $282.00 - 3 pc Slant Back Copper Roof Vent. $94.00 ea. Shipping Included. $368.00 - 4 pc Slant Back Copper Roof Vent. $92.00 ea. Shipping Included. 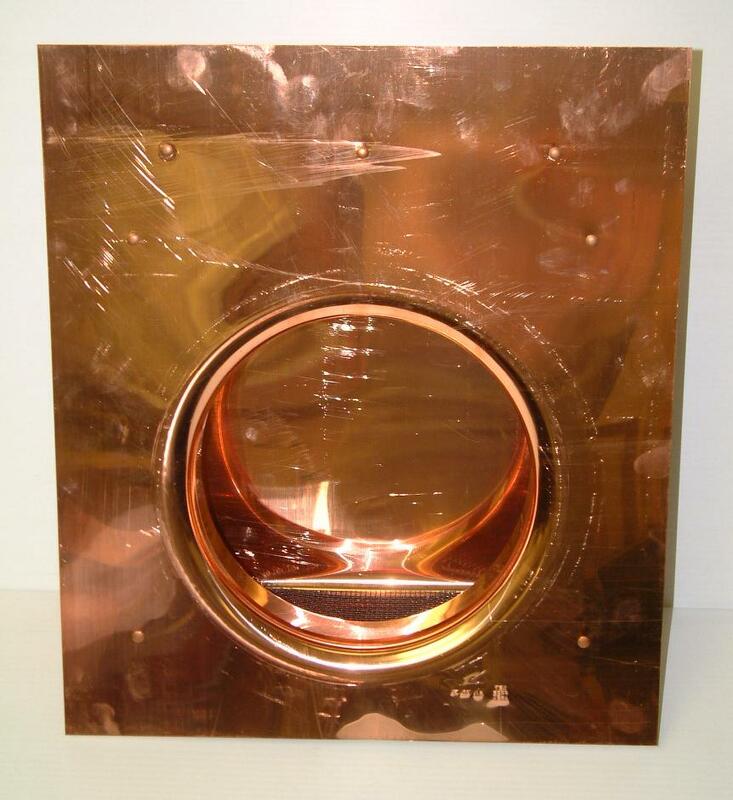 $435.00 - 5 pc Slant Back Copper Roof Vent. $87.00 ea. Shipping Included. The one piece base with deflector baffle and domed top combine to make this a weatherproof louver with maximum air discharge. There is a silent war underway in most attics and crawlspaces. Insulation, structure, paint and roofing materials are under attack from heat and moisture. Excessive heat buildup can top 150º degrees Fahrenheit in an attic. Excessive moisture can actually condense to water droplets. The only way to get rid of damaging heat and moisture is with a proper ventilation system of intake and exhaust ventilators. Left unventilated, heat and moisture can wreak havoc in a home, causing expensive damage. With a proper ventilation system of intake and exhaust vents, hot humid air is continually replaced by fresh air, removing excessive heat and moisture.